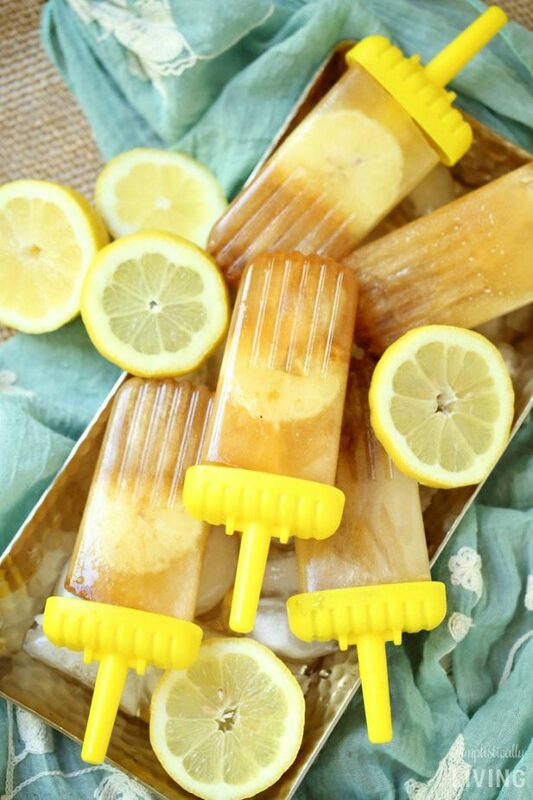 Rum & Coke Boozy Popsicles | Summer's favorite frozen pop for adults! When it’s warm outside, nothing is better than enjoying an ice cold, frozen treat. Okay, I lied, you know what could be better? A boozy one! These Rum & Coke Boozy Popsicles are delicious, a great way to keep you cool and the perfect way to ensure your party guests relax and have some fun! 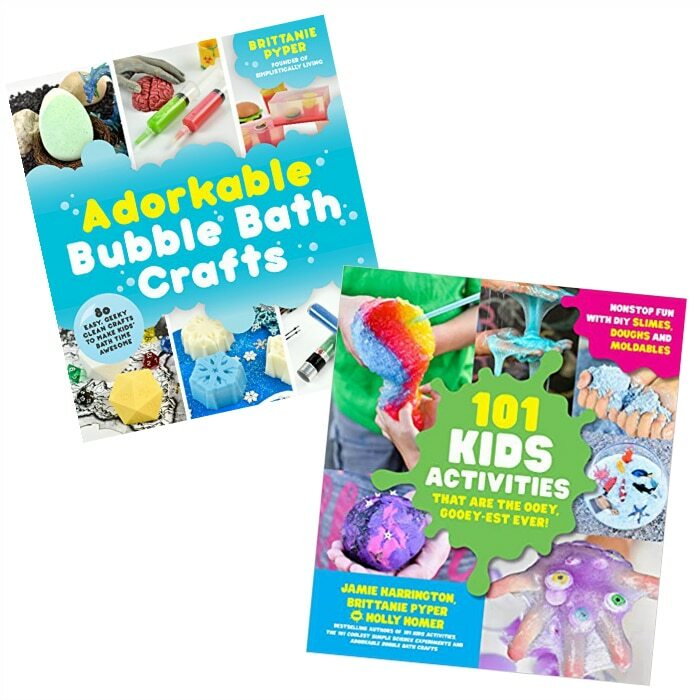 Full disclosure: I won’t be enjoying these much this summer. 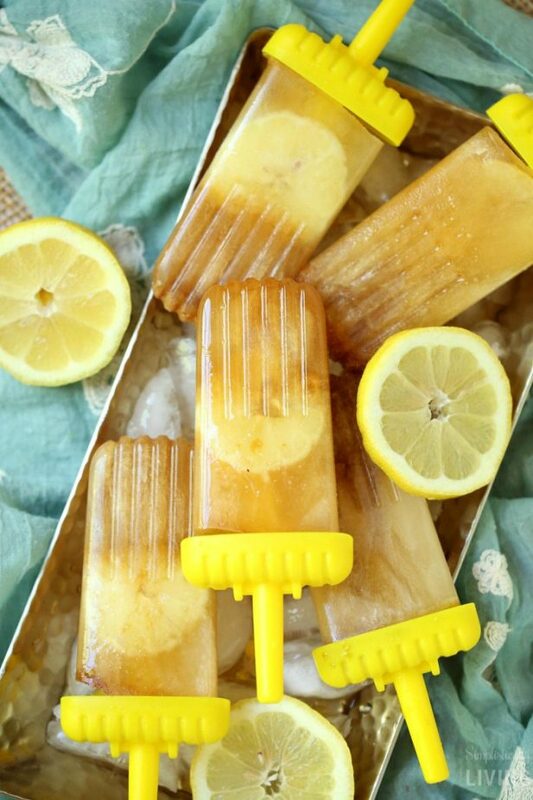 Since I am pregnant (expecting in November) I will be making my own batch of just Coke or maybe Coke with Lime or heck, maybe Dr. Pepper popsicles. Either way, they’ll be delicious and totally free from any alcohol. My husband on the other hand, he will be enjoying these. I love them so much because they are simple to make and taste great (I did a lick taste test). While you certainly can’t leave these out in the hot sun, you can pre-make them and keep them frozen until you are ready to serve them up to guests at your next BBQ or event. As you can see above, I placed mine on a tray of ice cubes which helped keep them frozen a tad-bit longer. I want to say that I didn’t use any fancy equipment to make these. In fact, you can buy the popsicle molds at your local Dollar Tree but if you are wanting to speed up the process or plan on making a ton, I highly recommend the Zoku Quick Pop Maker. It makes several popiscles in a matter of minutes. I own it and just totally forgot to use it for this recipe – Can you say pregnancy brain? One question you might be asking is what soft of rum did I use? 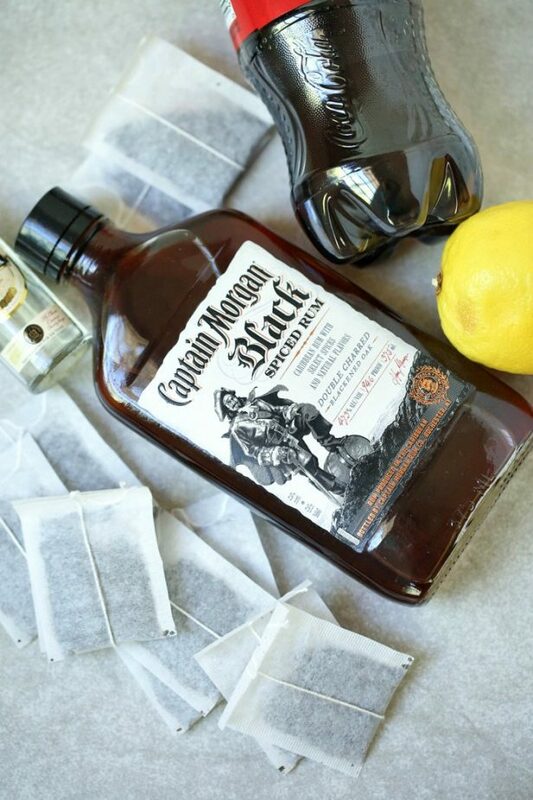 I used the Captain Morgan Black Spiced Rum simply because that is the chosen brand and rum my husband likes. He is a total rum guy. You can certainly use whatever rum you’d like though – even white rum. And as for the process, it couldn’t be any easier. 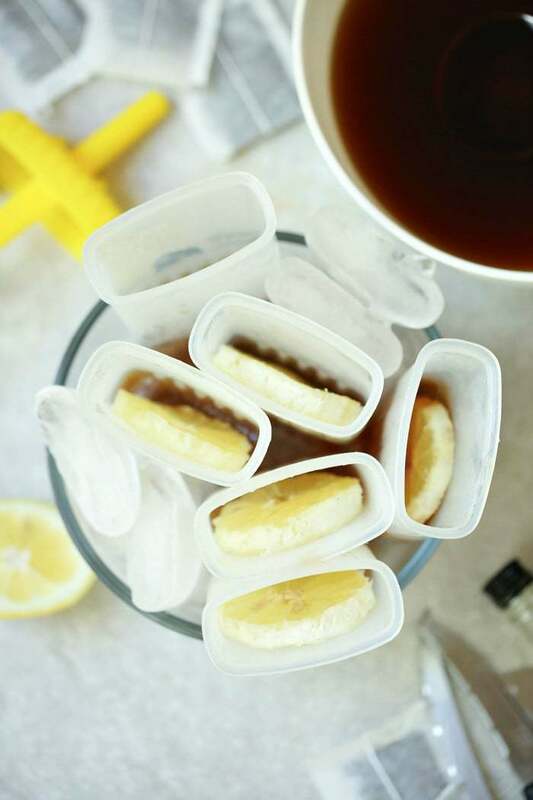 Follow the directions exact and just make sure if you are using regular popsicle molds, you want to store your popsicles at the back of the freezer. I made the mistake of storing them in the door and went to remove the first batch and they weren’t entirely frozen through. So, don’t make the same mistake I did! 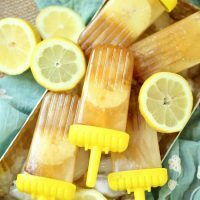 I surely hope you enjoy this recipe and it helps keep you COOL (in more ways than one) this Summer! Brew 2 cups tea as described on package. Once finished, stir in sugar, and set in the fridge to cool for at least 1 hour. 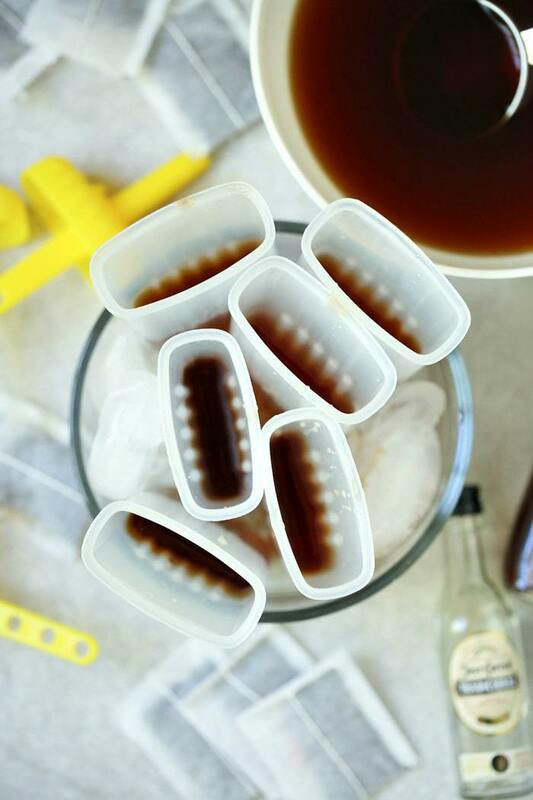 Combine 1.5 cups soda with ¼ cup rum, stir, and pour into the bottom of your popsicle molds. Freeze for 30 minutes. 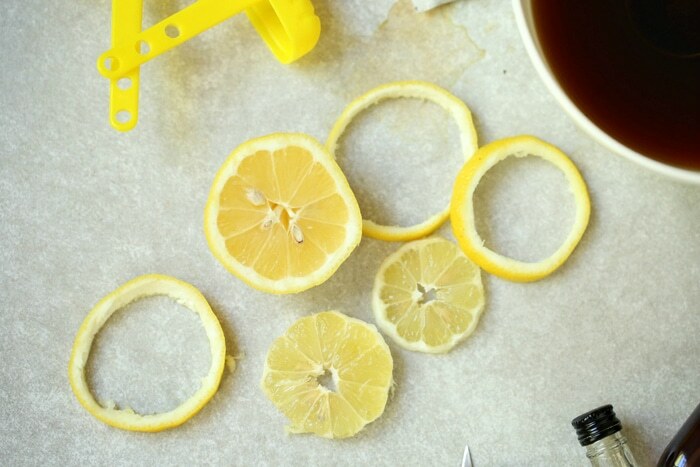 Slice your lemon into thin pieces, then drop in each of the popsicle molds. 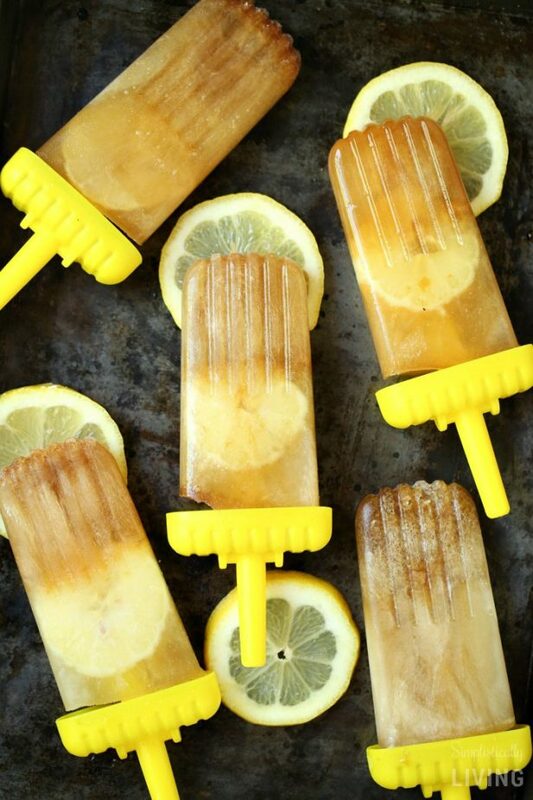 Mix together tea and tequila, then pour into the popsicle molds on top of your lemon slices. Freeze for another 4-5 hours before serving.